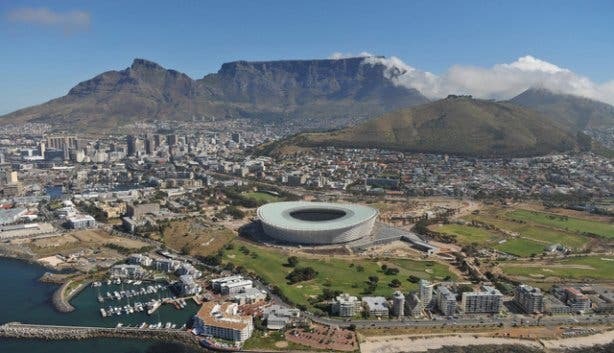 Slang and colloquialisms are prolific in Cape Town; a fact that’s far from surprising in a nation that claims 11 official languages and in a city that’s home to an eclectic mix of cultures. That said, locals in the Mother City and in the surrounding Western Cape, more so than, arguably, other South African provinces, have their own unique way of talking smack and waxing lyrical. Much of the credit for the area’s broad spectrum of slang and colloquialisms is owed to the coloured people from the Cape Flats, a population vibrant in every way, but most famously, for the in the way in which they communicate. Though, ultimately, words, sound bytes and sayings from all of the nation’s official languages inject themselves into casual conversations, potent road rage and cheesy pick-up lines. So, if you’re planning a visit to Cape Town, if you’re new to the city or if you simply need to brush up on your bantering act, then look no farther; we’ve put together a beginner’s guide to Cape Town slang and colloquialisms, complete with our version of accented pronunciation. Bergie (bear-ghee): Derived from berg, Afrikaans for ‘mountain’. Originally used to refer to vagrants living in the forests of Table Mountain, the word is now a mainstream term used to describe vagrants in Cape Town. Guardjie, gaatjie (gah-chee): The guard who calls for passengers and takes in the money on a minibus taxi. Mielie (mee-lee): Afrikaans term for corn, corn-on-the-cob. Nee (nee-ah): Afrikaans for ‘no’. Naartjie (naah-chee): Afrikaans term for citrus unshiu, a seedless, easy peeling species of citrus also known as a ‘satsuma mandarin’. Potjie, potjiekos (poi-kee-kaws): Afrikaans term for pot food/stew comprised of meat, chicken, vegetables or seafood slow-cooked over low coals in a three-legged cast iron pot. So, whether you’re asking for directions, engaging with the locals or just eavesdropping in a taxi, let’s hope this guide will give you some insight into what’s being said. And keep in mind, if anyone says “Joe Mah Sah...” just know, it’s not a compliment. Also, don’t forget to subscribe to our newsletter, follow us on Twitter, like us on Facebook, join our Google+ circle and check out our Pinterest boards for updates.